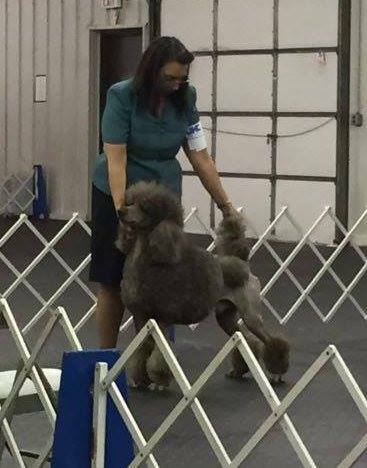 Snickers is from our Angelique's last litter by an AKC, Canadian champion "Logan"
He is a smaller male of 24 inches tall. 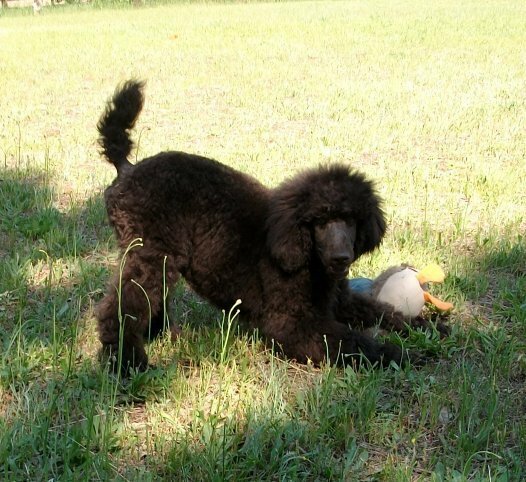 He is quite a goofy poodle who makes you laugh at his comical antics. 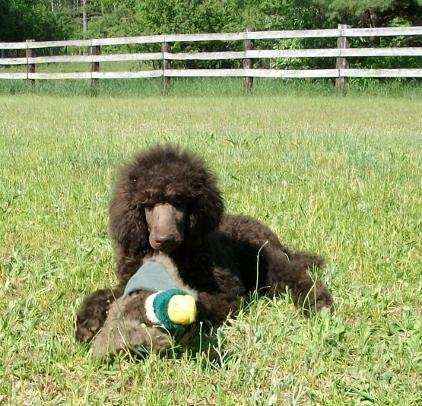 He has kept most of his brown coloring instead of clearing like a lot of brown poodles do. He can produce solid puppies in brown, black, Sables/phantoms and parti-colors. 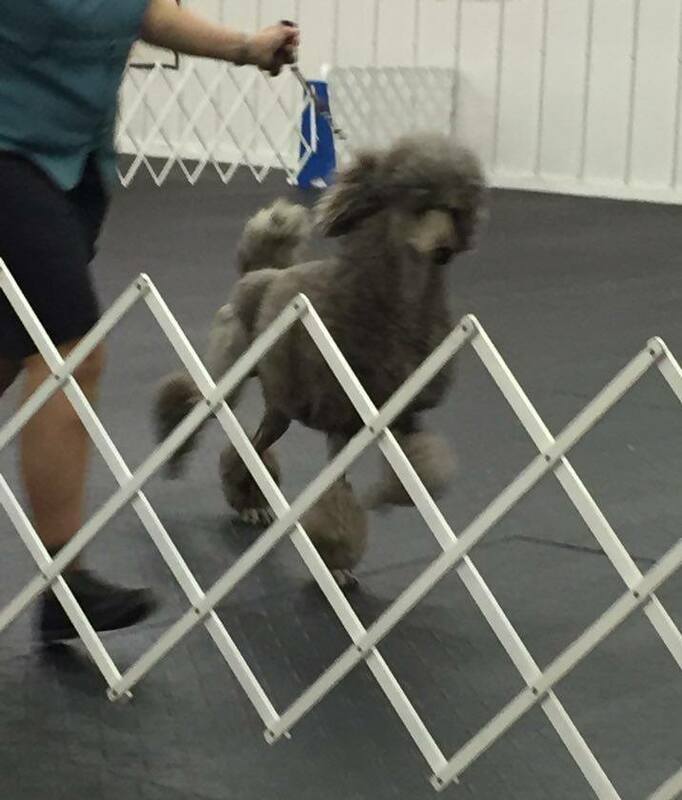 2016 photos below of Snickers finishing his UKC Championship. 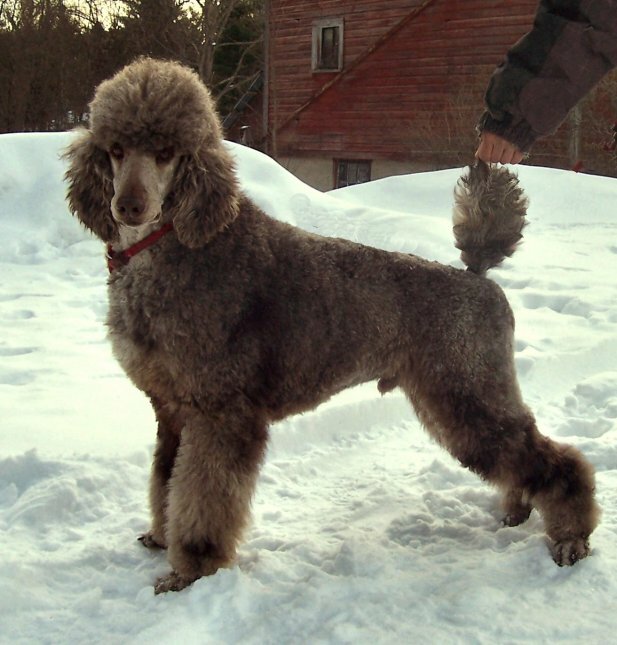 Snickers was shown as a puppy in UKC but finished as an adult. He was such a cute puppy!